Minerva Cisneros Garcia is an undocumented immigrant who came to the United States from Mexico in October of 2000 after her husband passed away, leaving her with no other option. Garcia came to the United States from the Mexican state of Guerrero so that her oldest son, Eduardo, who is blind, could access services only available in the US. At the time Garcia brought her family to the United States, Eduardo was 5 years old, and she said immigrating legally would have been too expensive and time consuming considering her son’s imminent needs. Garcia’s youngest sons, Mateo and Antonio, were born in the United States. In 2009, Garcia was stopped at a traffic checkpoint. It is illegal for her to drive as an undocumented immigrant. Her life since has been full of fear of subsequent deportation. In June 2017, Garcia received a deportation order from Immigration and Customs Enforcement (ICE) that gave her a month to leave the country. With nowhere else to go, Garcia took sanctuary in the Congregational United Church of Christ in Greensboro, NC. Garcia was the first person to take sanctuary in the church after they opened their doors to immigrants in need earlier that year. Minerva Garcia (right) spends time outside the Congregational United Church of Christ in Greensboro, NC with her youngest son, Mateo, on Sept. 30, 2017. She is at risk of deportation if she leaves the church, but she is able to spend a couple minutes outside every other day under the watchful eye of a church volunteer. The Congregational United Church of Christ in Greensboro, NC holds Sunday worship on Sept. 24, 2017. The church recently decided to open up a sanctuary for undocumented immigrants. Minerva Garcia and her two sons, Mateo and Antonio, are the first to seek refuge in the church. Minerva (left) prepares for a TV interview in her home on Nov. 15, 2017 before a scheduled meeting with ICE in Charlotte, NC the next day. Minerva’s story has gotten a lot of local media coverage since she arrived at the church. On Oct. 2, 2017, a federal immigration judge in Texas removed the deportation order that was placed on Minerva, which effectively ended her 5-month stay at the sanctuary in the Congregational United Church of Christ in Greensboro, NC. Minerva hugs Mateo at the dining table during dinner on Sept. 30, 2017 in the Congregational United Church of Christ in Greensboro, NC. Minerva, a widow, raises her two youngest sons as a single mother in the church. 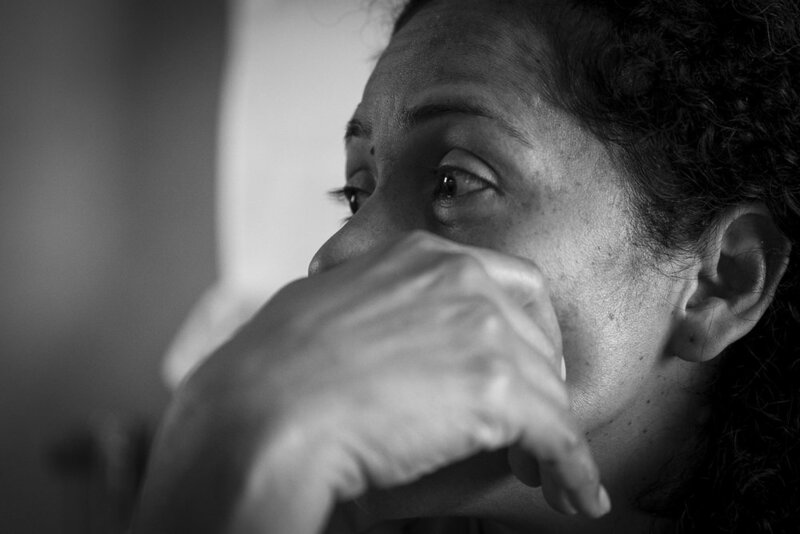 Her eldest son, Eduardo, is blind and lives alone in Minerva’s home in Winston-Salem, NC. Minerva’s sister, Felipa Cisnero Garcia (left), jokes around with Mateo on Dec. 1, 2017. Felipa, an electrician, is the only other family member that Minerva has in the United States. Minerva washes the dishes in her Winston-Salem home while Mateo (bottom left) watches TV on Nov. 16, 2017. As a single mother living with her three sons, she has a hard time keeping up with the chores around the house. Minerva (left) and Antonio (center) get a ride to her meeting with ICE in Charlotte, NC on Nov. 16, 2017 from Kim Porter (right), a social activist who has been working with Minerva since the beginning of her case. Minerva cannot legally drive, so she relies on friends and family to get her around. Minerva is currently working on getting her driver's license. Minerva addresses the media before her meeting with ICE at an immigration courthouse in Charlotte, NC on Nov. 16, 2017. “I really don’t know what’s going to happen in there,” Garcia said. “I’m scared."